HOUSTON � Another strong pitching performance by two starters and two relievers made for a close game between Las Cruces and Mesa Monday at Coastal Baseball Complex, with the Vaqueros pulling out a 5-4 victory over Garden of Gears. Las Cruces went up 1-0 in the second when Carl Johnson singled, advanced to second on a stolen base and third on an error, then came home on a passed ball. The Vaqueros added three more in the top of the third, scoring when Cody Langham and Austin Carden both singled, then, with two outs, another Johnson single scored Langham. Carden came in on an error by the left fielder and Johnson scored on a Jacob Alastra single. Mesa put its first run on the board in the bottom of the stanza when Sean Rolky walked, advanced to third on an error and came home on a groundout the Brandon Jourdan. The fourth was scoreless, then the Gears cut the Vaquero lead to 4-2 in the fifth when Jourdan singled and came around on a pair of singled by Joe Hicks and Kyle Zimmerman. 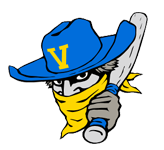 The Vaqueros matched that run in the top of the sixth when Luis SIlva tripled, and, after singles by Langham and Carden that loaded the bases, came home when Edison Alvarez was hit. But the Gears made it 5-4 in the bottom of the sixth against reliever Brandon Brown. Leadoff hitter Brennan May reached on an error and advanced on a passed ball. With one out, Jefft Tarver was hit, and a double steal put runners on second and third. Then, with two outs, Rolky reached on an error that scored May and Tarver. After Jourdan � who pitched the full seven innings for Mesa � kept Las Cruces scoreless in the top of the seventh, the Gears got Hicks as far as third base in the bottom of the stanza, but couldn�t bring him home. Moore praised Jourdan, who only allowed three earned runs in the full-game performance. Jeff Goulet got the win pitching four innings, while Luis Silva went one inning and Brown got the save. Offensively, Langham was 3-for-4 for Las Cruces with 1 run and RBI; Johnson 2-for-3 with 1 RBI and two runs and Carden 2-for-4 with a run. Hicks was 2-for-2 for the Gears and Zach Kreegar 2-for-3, but neither got an RBI nor scored a run. The Spring League wraps up Tuesday with the Vaqueros taking on the Apollos at 10 a.m. and the Gears facing the Sea Lions at 1 p.m.